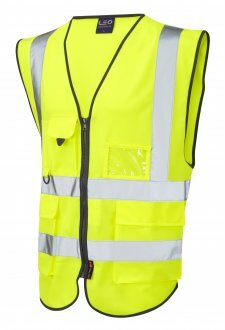 DESCRIPTION - Revolutionary In Its Design, The Executive Vest Combines The Light Weight Of A Waistcoat With The Practicality Of Pockets For Those Situations When A Jacket May Be Too Warm. 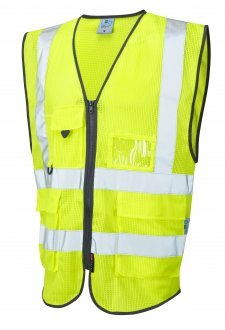 A Clear ID Pocket For Security Passes And Cards Compliments This Unique Garment. 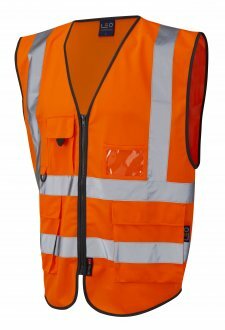 With Many Companies And Their Operatives Now Using Combinations Of Hivisibility Orange And Yellow Fabric Together, These Contrasting Styles Are Increasing Demand For Many Customers.